TRUST DELPHI FOR THE QUALITY PARTS YOU CAN DEPEND ON. ​When it comes to the aftermarket, nobody does it better than Delphi Technologies. While many OEM suppliers put the aftermarket last, Delphi routinely puts it first, understanding customer lifetime value is often best delivered through the parts & service experience. ​Delphi Technologies’ commitment to quality was validated by an independent test facility in July 2016. 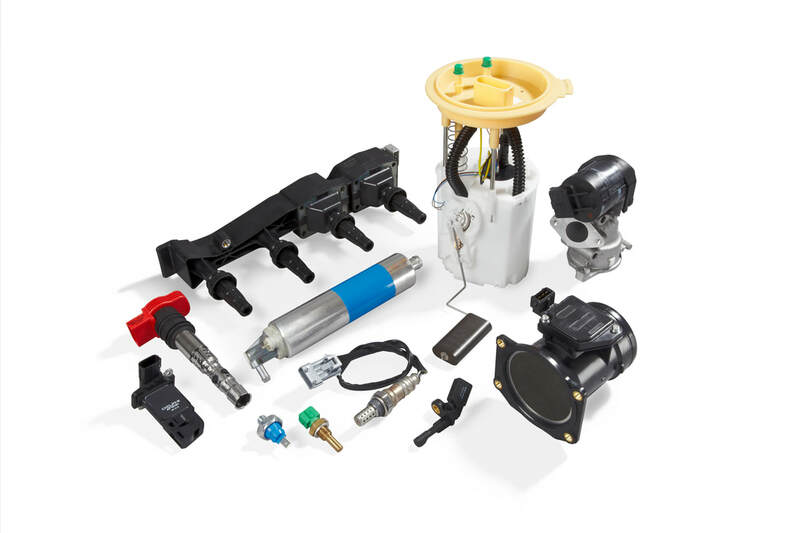 Fuel pumps for identical applications, from Delphi and three other competitors, were monitored in an extensive durability test to simulate today’s corrosive environment including ethanol fuel. The test was conducted at room temperature capturing flow performance, pressure and current draw. Delphi was the only brand to have all its pumps outlast this durability test. 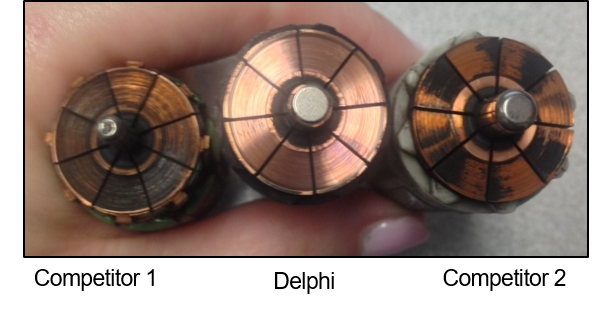 The Delphi unit’s brush and commutator wear was even and minimal, while competitive units had complete wear down. Every mass airflow sensor Delphi makes—whether with or without the housing—is built with calibrated all-new components and is never remanufactured. Delphi MAF sensors are designed and tested to meet or exceed OE requirements, and engineered for a perfect fit in more than 145 million vehicles on the road today in North America — including makes from Ford, Toyota, Nissan, Volkswagen, Hyundai, BMW, Honda, GM, Mazda, Subaru, Acura and more. 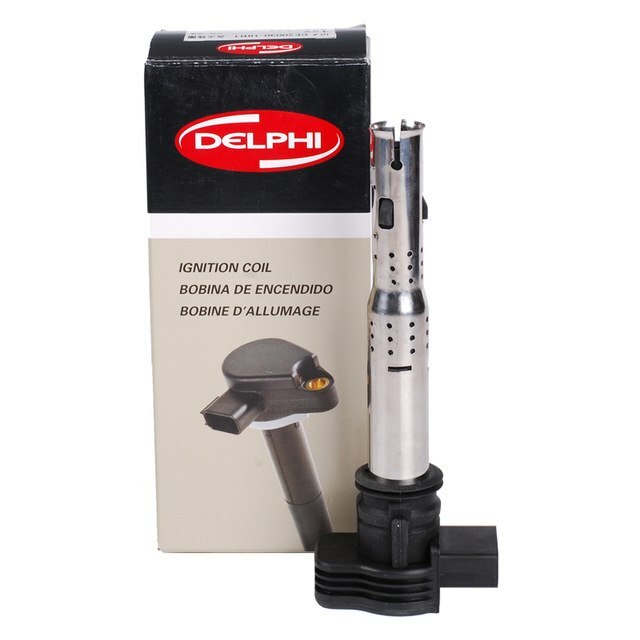 Delphi ignition coils are designed—and endurance tested—to resist the common stresses that cause failure. They’ve used their 100 years of OE ignition system experience to create world-leading magnetic design and modeling capabilities. The result is an efficient coil design that ensures the power in the coil has a streamlined path to the spark plug. 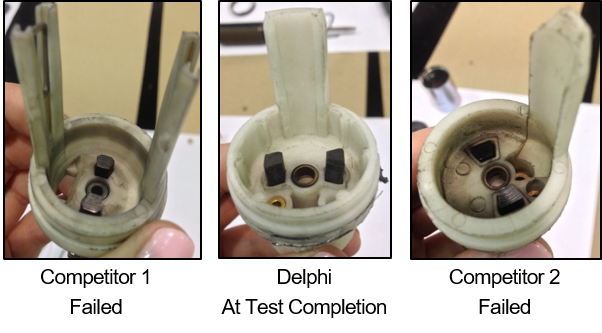 This design also reduces the occurrence of shorts inside the ignition coil. ​New technology? Check. Diagnostics support? Check. 100 years of OE engineering and testing built right in? Well, you get it. Delphi has the high quality emissions, ignition and sensor parts to help you keep that pesky check engine light off - and keep your customers happy.